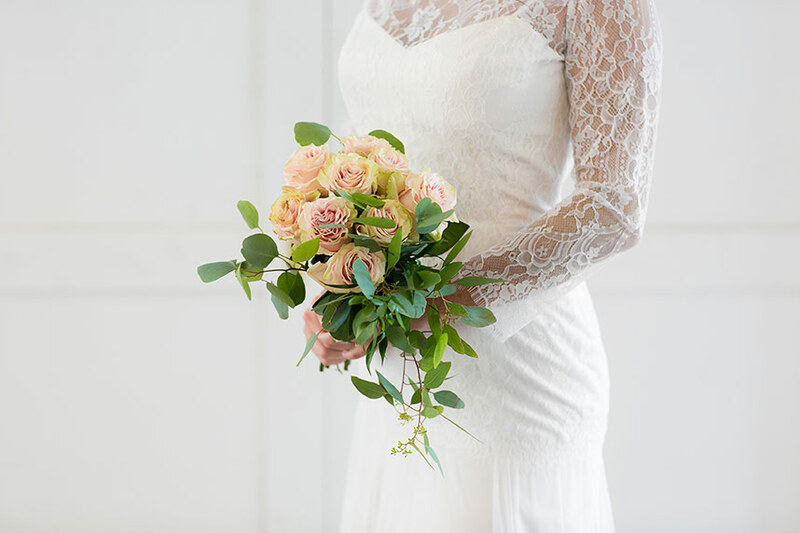 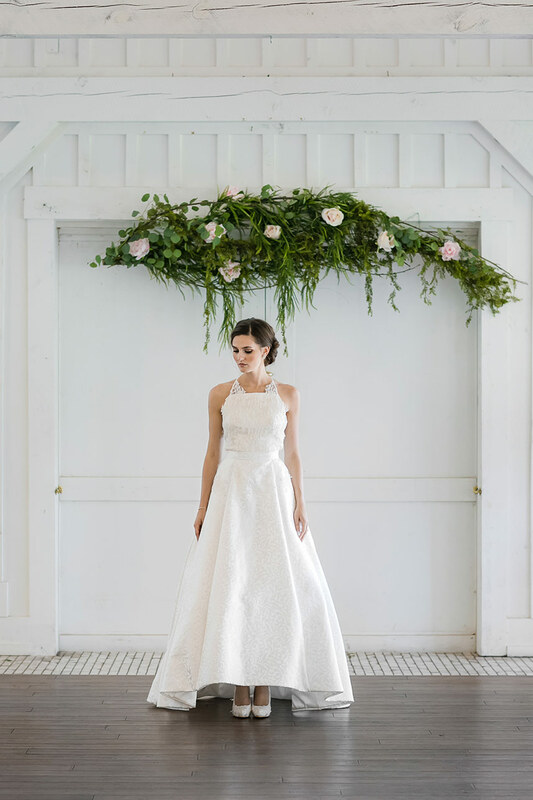 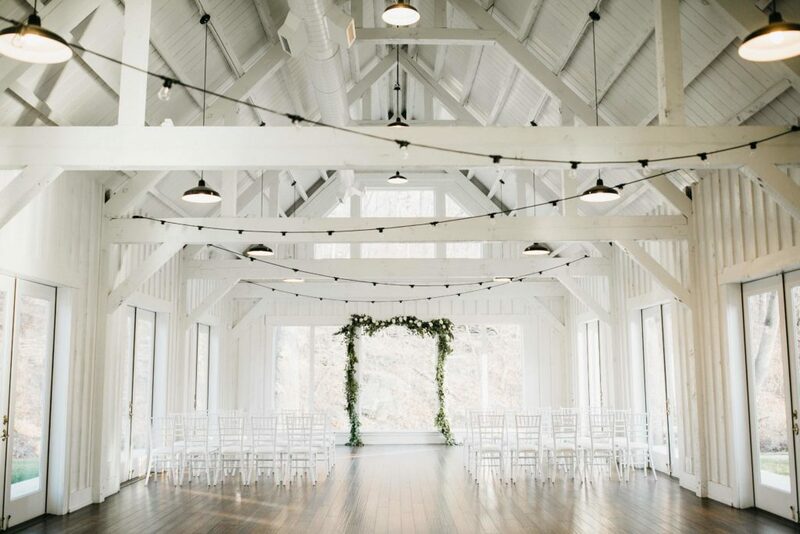 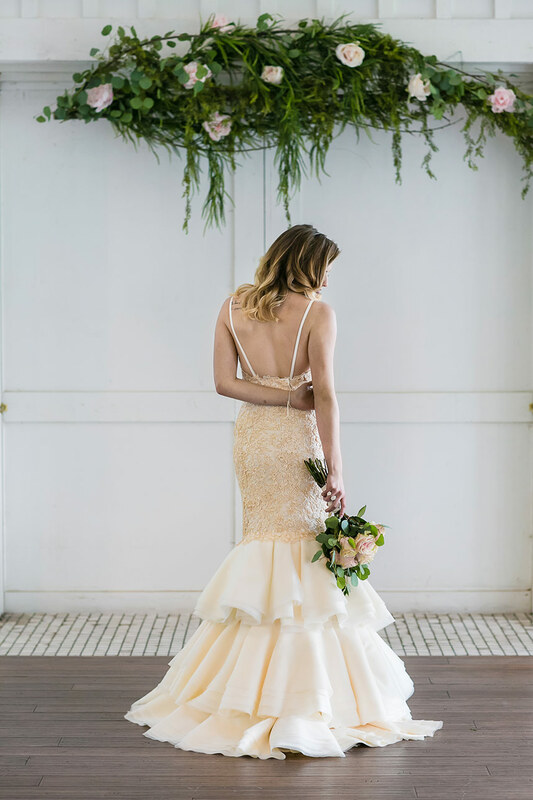 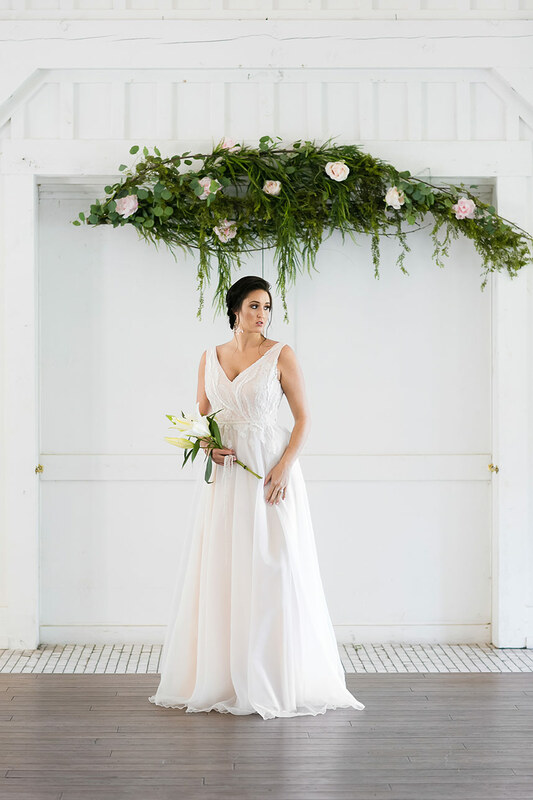 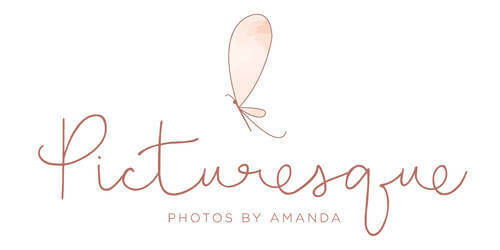 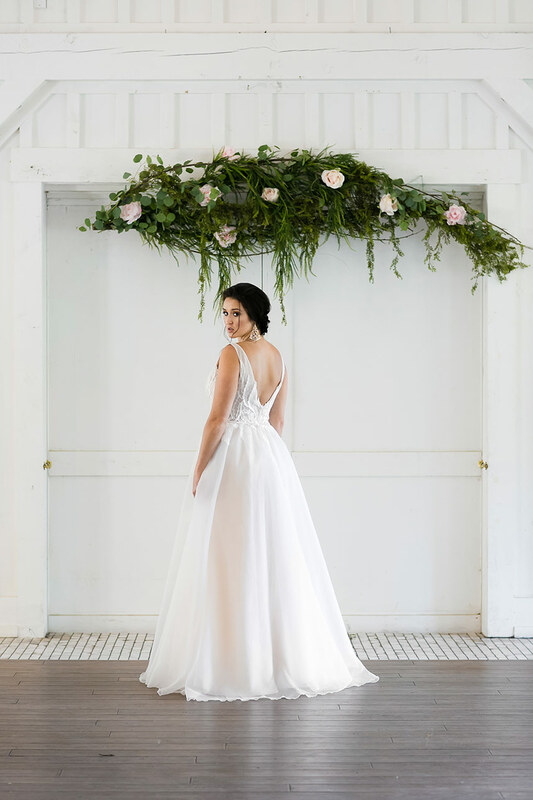 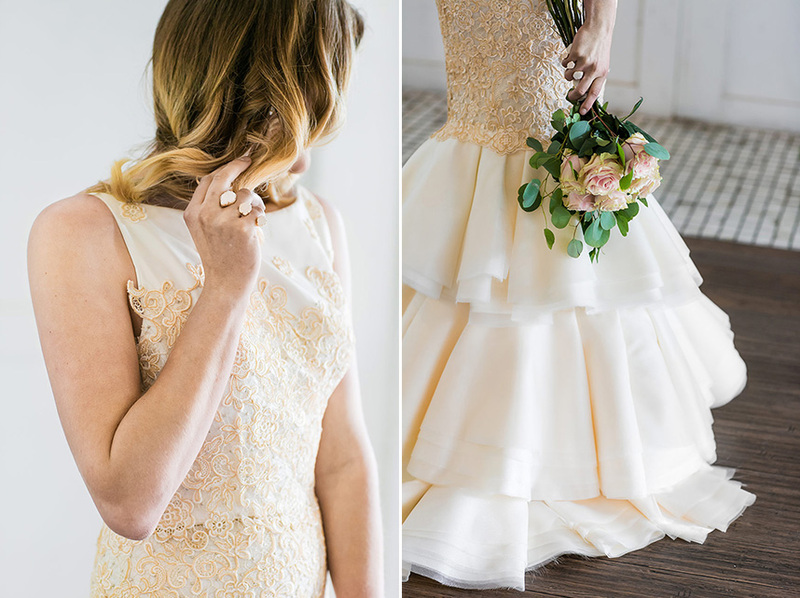 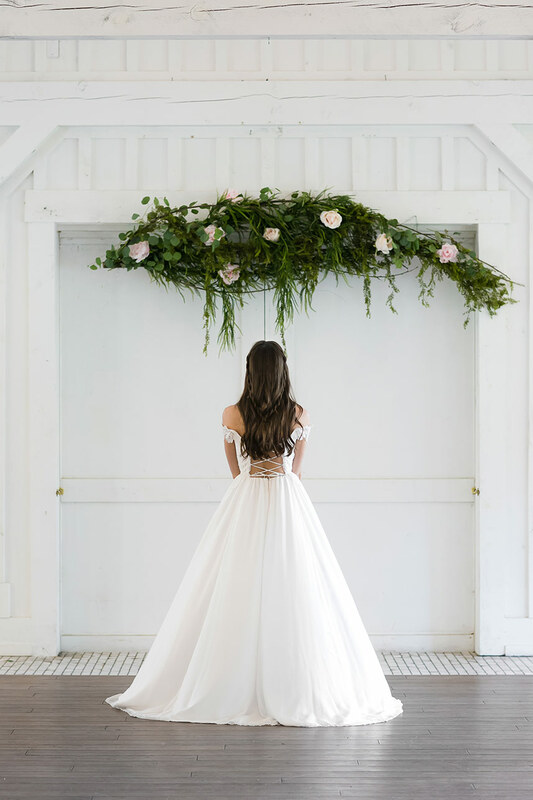 To spotlight one of our new favorite full-fledged designers, we’re so thrilled to finally share these dreamy images of Bridal Couture by Sonni‘s debut collection, captured by Picturesque Photos by Amanda! 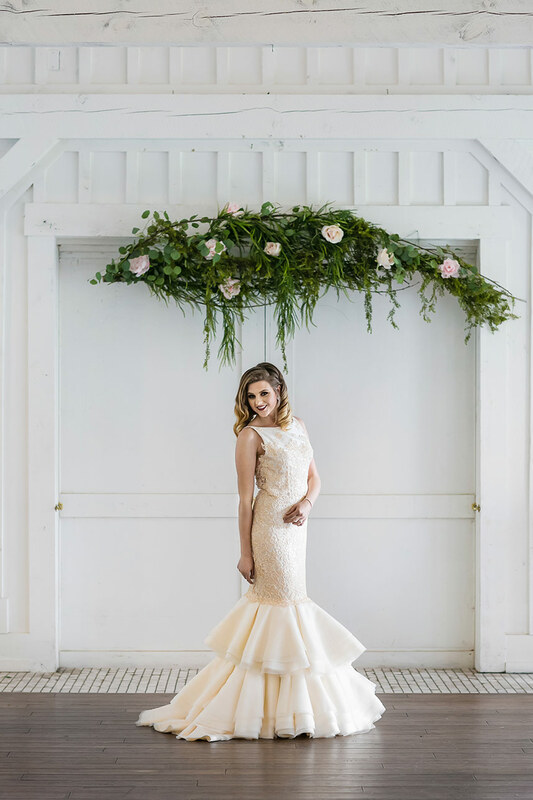 Set at Spain Ranch with a setting styled by EB2 Events, Sonni’s collection takes center stage with an inspiring anecdotal take on Israeli history through an “old world meets new world” approach. 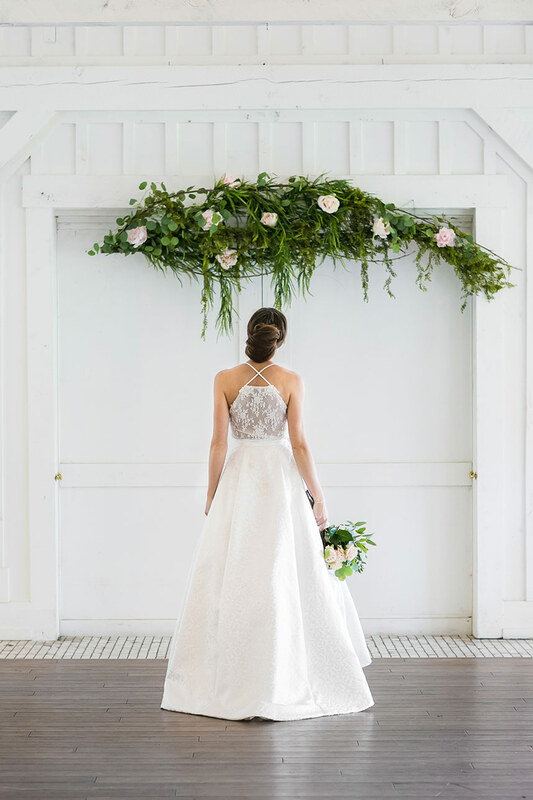 Gowns made of luxurious fabrics like Chantilly lace, English tulle and silk taffeta bring an undeniable elegance to the line, with each design embodying a modern and fresh take on the ideals of bridal heritage and tradition. 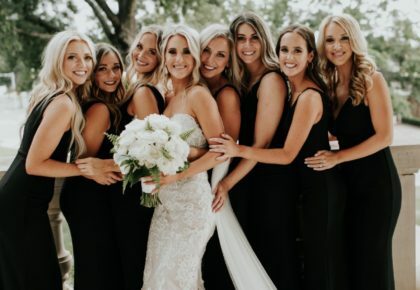 Atherial kept each model bride’s makeup look subtle yet glamorous with a fresh, dewey finish, leaving the eye to focus on the gowns. 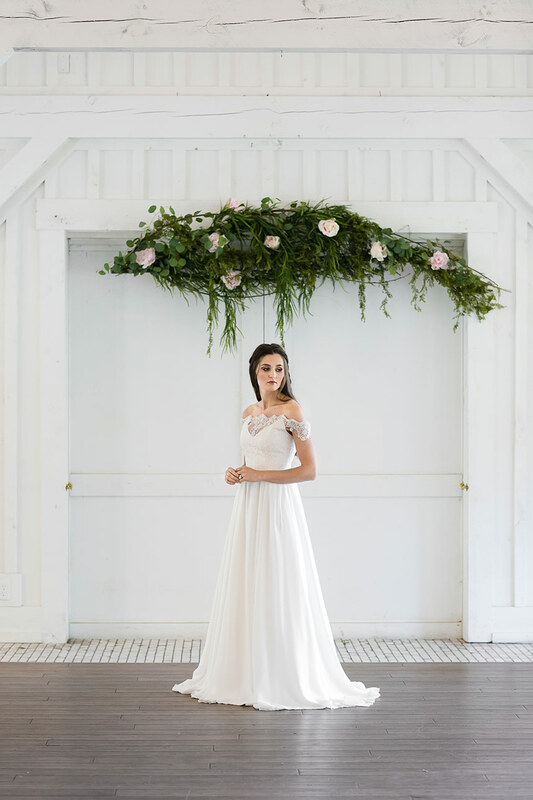 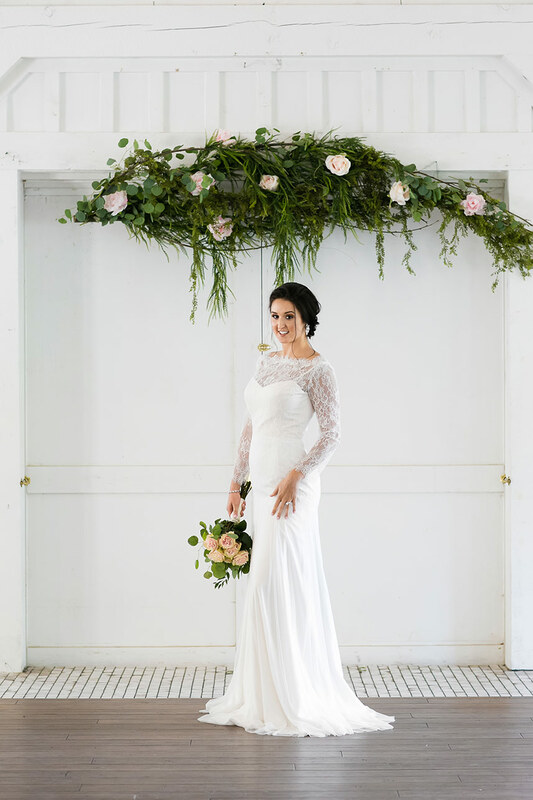 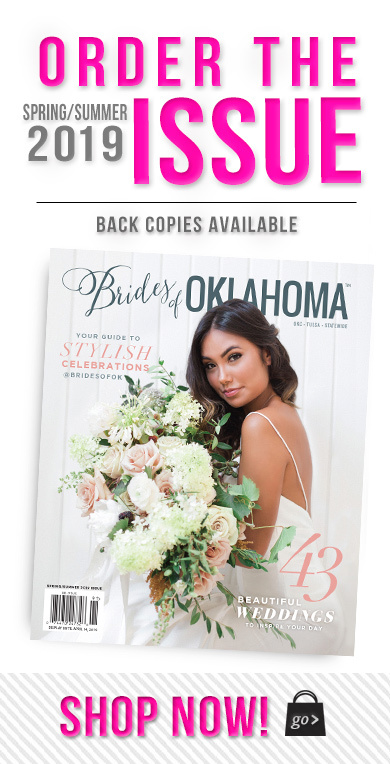 Filled with a full variation of styles and silhouettes, everything from long sleeve and lacy to cross-back and form fitted can be found in this uniquely designed collection, providing ample options for nearly every type of bride. 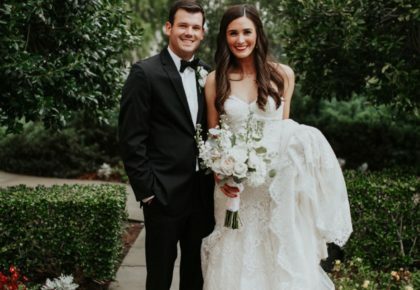 We can’t wait to see these beauties at the altar! 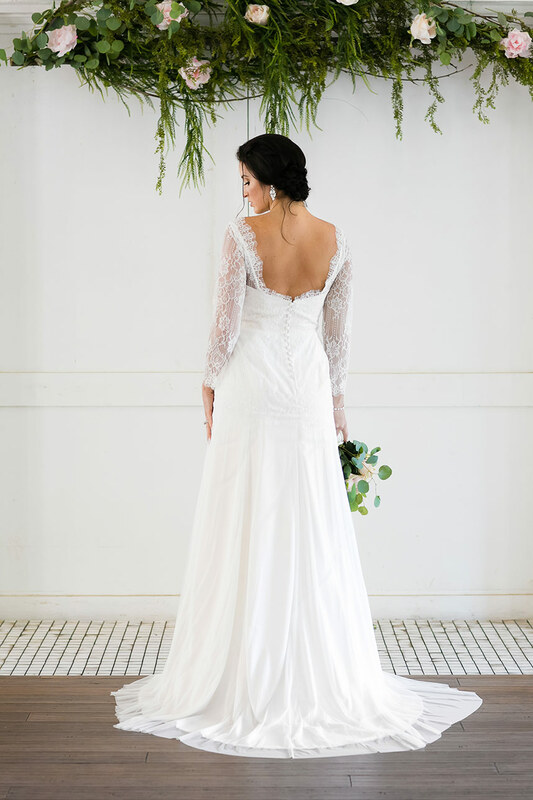 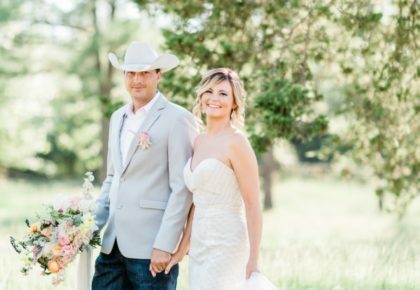 Contact Sonni today for one of these styles or to design your own custom gown.